Whooping Cranes migrated through the Ohio River Valley every autumn on their way to warmer winter climates. According to the journals of John James Audubon, the famous ornithologist, naturalist and artist, the birds were often found on the edges of large ponds, extensive marshes, in fields or swampy woods. 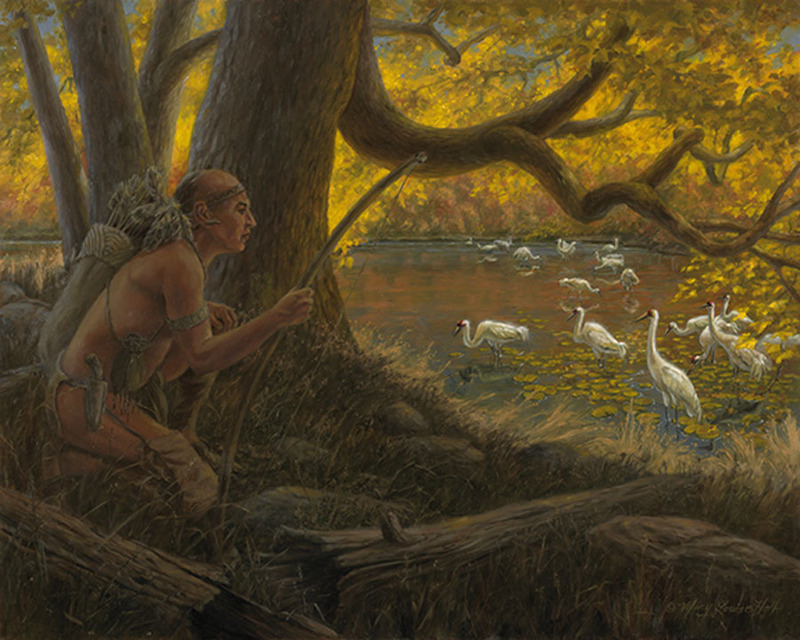 Audubon wrote of the Whooping Cranes: “The wariness of this species is so remarkable, that it takes all the cunning and care of an Indian hunter to approach it at times, especially in the case of an old bird. The acuteness of their sight and hearing is quite wonderful.” Audubon wrote that while the birds were engaged in the arduous task of digging up the roots (rhizomes) of water lilies, one of their favorite foods, the hunter had a better chance of success.